Your site is the most crucial tool for exhibiting your trademark image and collecting new prospective clients as well as business associations. Your web site should have the capability to interact with visitors and attract these people to undertake certain measures. At eMarket Elite, we begin with becoming familiar with your internet business endeavors and developing an interactive consumer experience intended to help you to attain those desired goals. 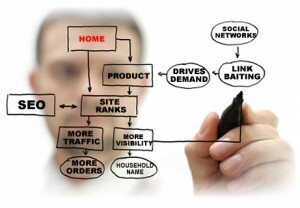 eMarket Elite features a great diversity of professional services from basic website design to complete web development. We have now undertaken a large number of productive internet sites in a range of diverse industries. Our creative designers and web developers possess the expertise, experience and inventive ability to capture the fancy of your fashion sense along with the capability to turn your entire concepts in line with reality. Our customers range between small-scale to mid-sized enterprises to major corporation. Using our consolidated expertise in web development, graphic design, CMS, and eCommerce stores, you could be certain that no matter what your project pleads, our web development workforce can deliver the results. We have a workforce of in-house web developers and creative designers that have a vast array of capabilities and expertise. eMarket Elite approaches each and every website as well as the squeeze pages design process considering the end goal of converting targeted visitors into potential clients. We begin with gaining an enthusiastic comprehension of your conversion objectives along with undertaking a thorough analysis from your most current analytics. And then we implement our collected information and make use of recommendations to design pages that have been established to perform. Taking care of both a short term as well as the long term perspective of how eMarket Elite can deliver the requirements of the client is very important with the success of the project. Our workforce will give rise to both of these objectives through adhering to a solution which is client driven as well as makes certain delivery of high-quality performance throughout the stipulated timeframes. eMarket Elite’s project management solution makes certain the precision as well as the credibility of deliverables, assists you to limit financial risk and makes possible operational communication. It is significant to have client engage in all project. It is relatively vital throughout the steps involved in the project. It is essential during the entire process of the project, specifically in the entire process of specifications accumulating and preliminary analysis. eMarket Elite’s Project and Account Managers will correspond on a regular basis with the client to make sure that the project is still around in scope and complies with stipulated goals. The workforce’s business framework and communications processes hold individuals in charge of the success of specified tasks allotted to them as detailing the repercussions of every task on the rest in the project. The project management solution will incorporate systems to make sure that substantial intra-team correspondence and synchronization of accountabilities takes places and contributes to the project’s success. eMarket Elite is as well a reputable Search Engine Optimization firm allowing you to feel comfortable knowing that our company is adhering to all SEO guidelines and setting up search engine friendly systems that can be visible around the SERPs. It doesn’t end with this “You make it and they’ll come” concept. We develop it, and then we SEO it, they then come! Functional Specifications. We start out with a study and advanced planning. We go through the current market, check into levels of competition, firm up desired goals and outline project specifications. Te consequence of this development process is known as FSD or Functional Specifications Document that acts as the comprehensive blueprint for the project. Precise services performed throughout the analysis stage are vastly different considering the objectives of a particular client. Clients are going to be totally involved in this action and we’ll agree on the final timeline, functional spec, scope, and innovative direction collectively. Utilize final aesthetic concept all through website. Customize and instigate web statistics based on specified metrics.